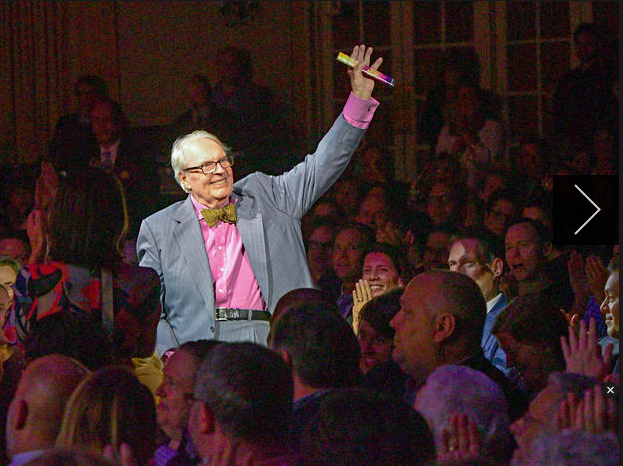 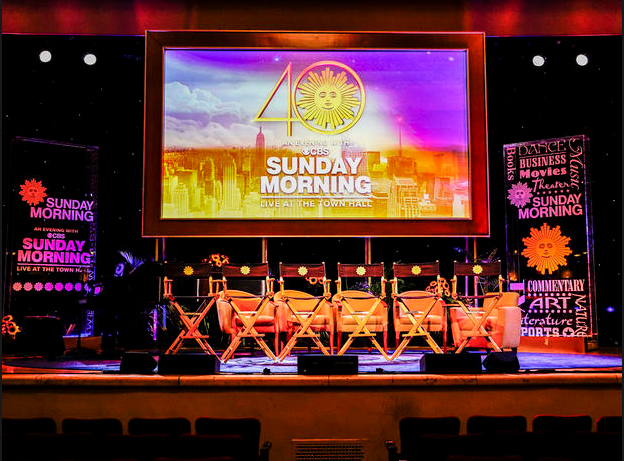 The stage is set for "An Evening with CBS Sunday Morning"
Now CBS is the latest network to get in on the action -- and it has created a whole new division to do so. 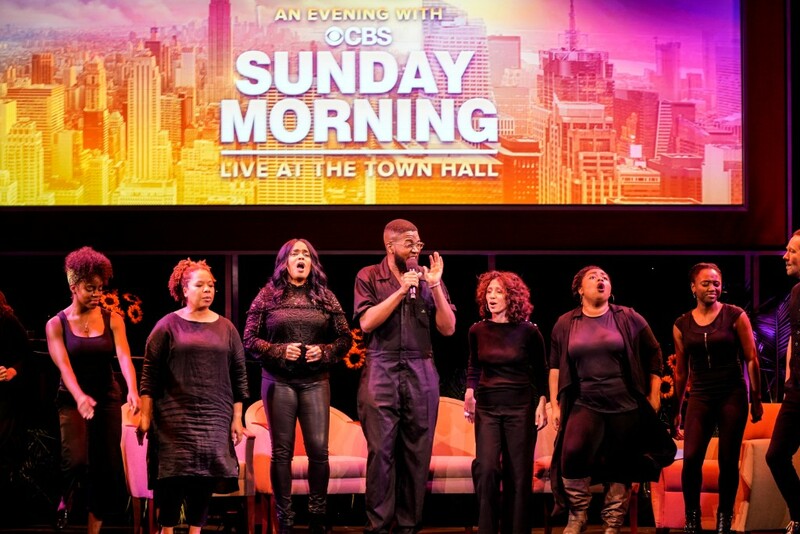 With TV audiences becoming ever more fragmented, one of the best ways to bond with viewers -- and in some cases, start a new stream of revenue -- is via "interactive television," giving audiences a chance to experience aspects of their favorite shows live and in person. 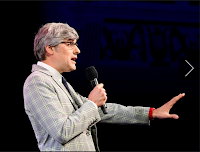 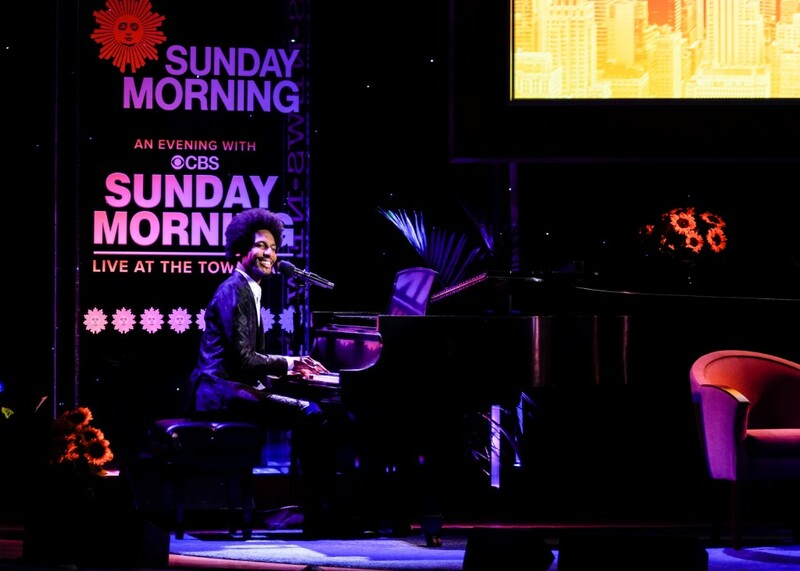 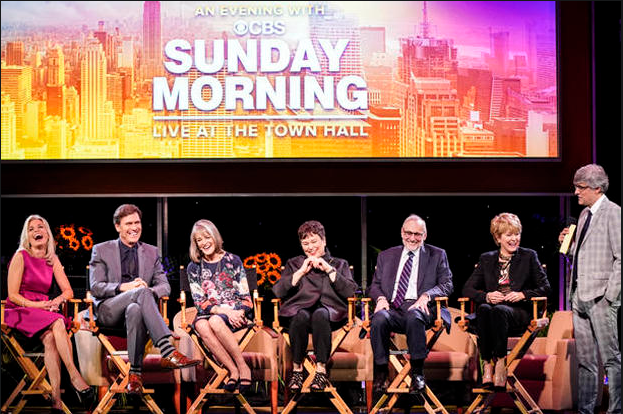 On October 1, CBS Experiences (or CBSX) debuted its first presentation, a live version of its well-heeled newsmagazine CBS Sunday Morning at Manhattan's Town Hall. 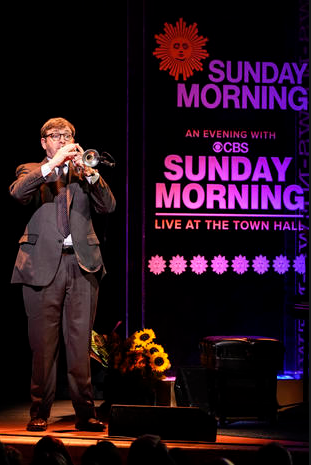 "An Evening with CBS Sunday Morning" was hosted by some of the morning show's famous correspondents, and featured interviews with the likes of the director and star of the upcoming film The Front Runner, Jason Reitman and Hugh Jackman; the cast of Murphy Brown; subjects from favorite past stories such as Georgia widower Dan Peterson and Norah Wood, the little girl who asked to hug him in the supermarket; plus live performances by Late Show with Stephen Colbert bandleader Jon Batiste, David Yazbek of the Broadway show The Band's Visit, David Brown's The Harmony Project, and more. Stay tuned for more announcements of unique CBSX experiences, which I hear are planned thru 2019 and beyond. Jamie Leonhart, Damaras Obi and Chanté Odom.